Companies are expanding faster than ever in order to grab the market and increase their visibility because there is lot of hype around the growth and expectation in the sector of market. But, due to many competitors the competition is fierce and the average value of the order still remains low. 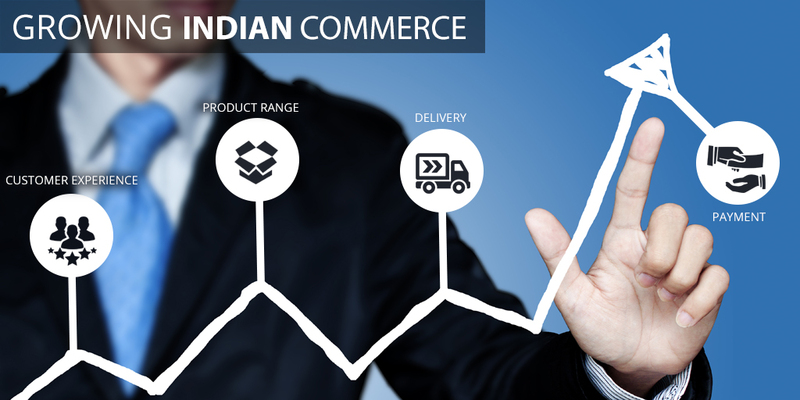 In order to sustain growth these companies need to execute their basics right and below are written five such things which can help the Indian e-commerce to gain the growth that it seeks and deserves. It is easily the one of the important regulator of digital e-commerce in India. Providers can design customized landing pages based on the search behavior of the user and can provide them smooth and compelling user interface. Product feeds and suggestion based on their previous shopping and search pattern will provide a very nice experience and customer will love to engage himself in such experience. Such behavior based marketing will help companies to win the loyalty of their customers. Because India is only in the startup phase as far as e-commerce is concerned the range of products and choices are quite limited even on the major e-commerce companies. Service providers need to expand their product range in order to attract more customers and to make their services attractive. Focusing on certain categories like grocery, fashion and electronics can also be a right strategy if one wants to become the pioneer in that field only. This one factor is particularly challenging in India given the less developed infrastructure and lack of last-mile connectivity to the remote areas. E-commerce service provider are required to partner with various logistics service providers in order to increase their reach and increase their strength in national, regional and local delivery. Reverse logistics are also equally important as they are meant to carry the return products from unsatisfied customers back to the inventory and this service can significantly impacts the customer experience. In the end everything boils down to the payment and more friction-less the process will be more will be the conversion rate and less cases of cart abandonment will be there. Due to low credit card penetration most of the payment in India is done either via cash on delivery or via debit cards. Also, integration of so many payment systems on one page sometimes led to payment failure. In order to make the process more smooth e-commerce companies need to work with payment providers in order to make the payment system clean and smooth. Besides offering large range of products and huge discounts companies should think about their customer support services. If client is not satisfied by the response from the customer support he is likely to withdraw the name of the e-commerce company from his list and will move to someone else. Similarly, if the return policy is not smooth especially in categories like fashion and electronics, the chances of seeing that customer again is very less.